This is an incredibly cute twist on the Three Little Pigs and the Big Bad Wolf. I enjoyed incorporating a little science and testing my kids’ knowledge of the solar system too. They thought it was pretty cute, but it is a little long for younger audiences. I cut this book out of my two year old story time. Then, we sang the “We’re Flying” Action Song from Preschool Education. “We’re flying to the moon. We’re flying to the moon. Blast off, away we go. 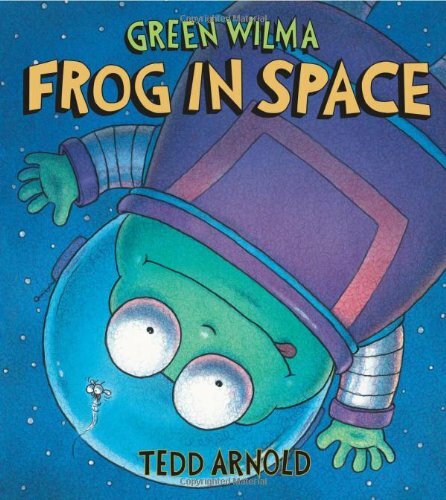 This book was surprisingly confusing for some of my classes who didn’t understand the difference between the alien and the frog, but the classes who did understand liked it. I guess it should be used for four years and up. Next, we sang “If You’re Going to the Moon, Wear Your Boots” originally from KCLS. 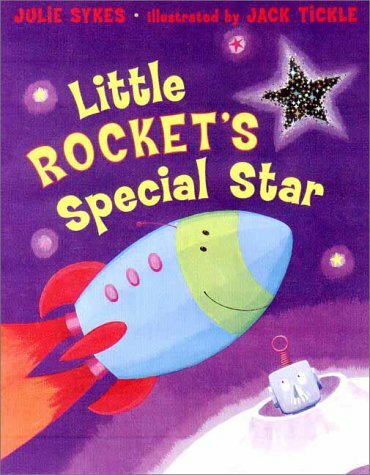 While we were standing, we also sang “I’m a Little Rocket” originally found at KCLS. Blast off! Zoom! We’re on our way. 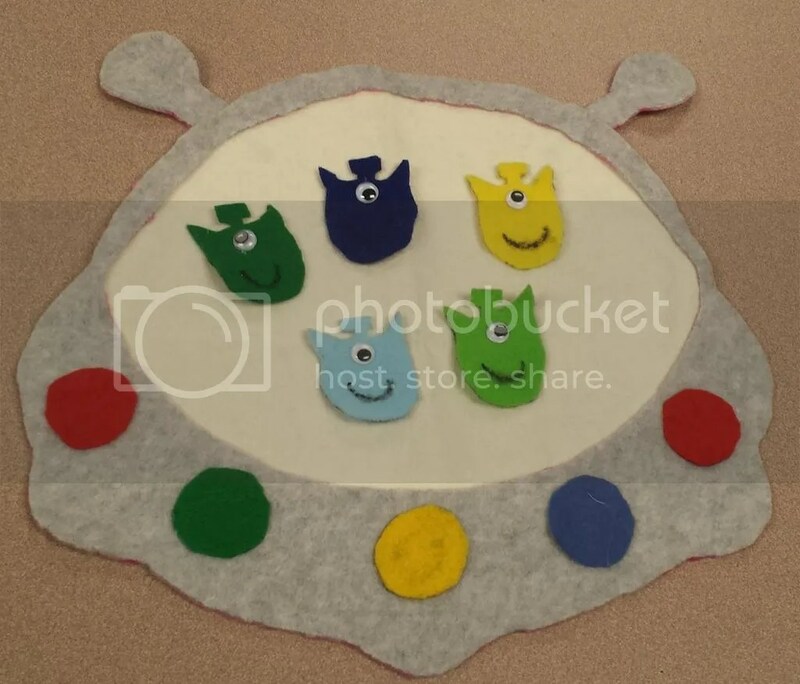 I originally found the idea for my “Five Little Men in a Flying Saucer” flannel from Storytime Katie. There isn’t really a pattern for this flannel, so I just had to draw it all by hand to create my own, but I think it turned out well. It was my first real adventure in making a flannel without a pattern. 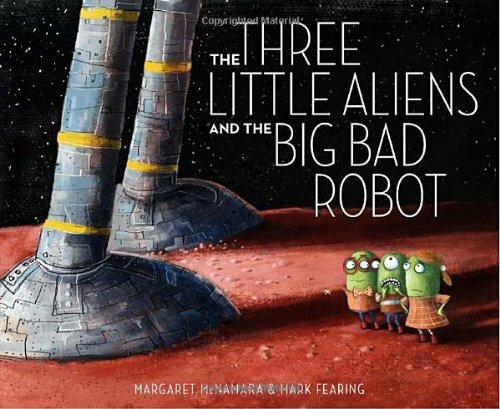 This was a cute little book that all my classes enjoyed. It’s short, sweet, and has sparkly pictures; so, everyone wins! Then, we did the “Twinkling Stars” fingerplay from the Perry Public Library. As we sang “Twinkle, Twinkle,” I handed out stars I’d made of yellow construction paper to every child. Then, we played and sang”Catch a Falling Star” and danced with our stars. Then, we twirled around on the verses. 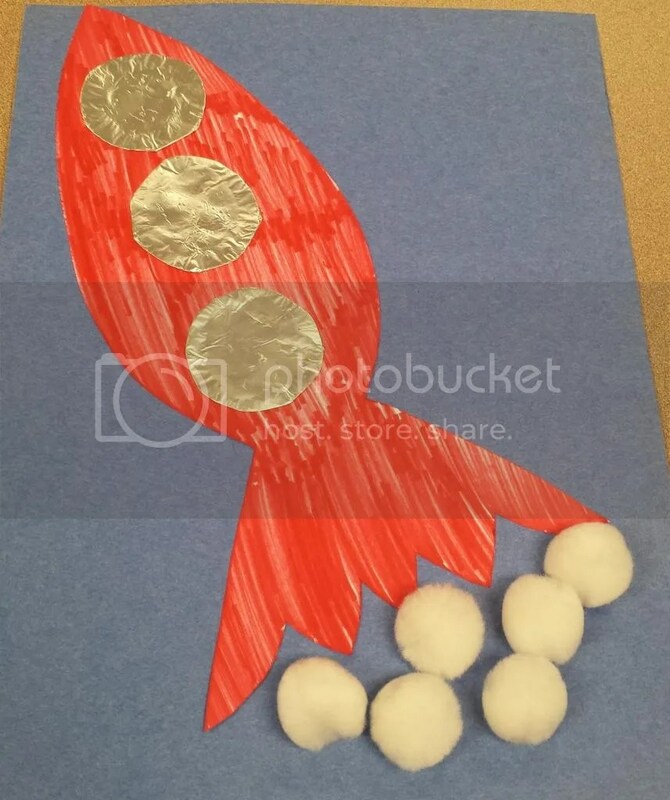 This week, for walk-in, we made rocket ships out of cardstock, construction paper, aluminum covered (cardstock) circles, and cotton balls.